LONG BEACH— Just when you thought The Big Lebowski had covered the spectrum of humor of the word “dude” ten years later the Coen Brothers cast Brad Pitt in a brilliant comedic role for yet another humorous delivery of the term. I have long been a fan of the Coen Brothers. They seem to have this knack for casting and directing each actor into a perfect role. 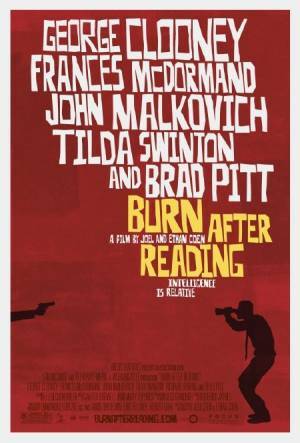 Their latest, Burn After Reading, is another stroke of comedic genius and brilliant casting. I saw this film the weekend it came out. I was very excited to see what world the Coen Brothers had created this time around. Several weeks later I am still running this comedy through my mind. There don’t seem to be as many quotable lines from this film that are popping out of my memory as there were in The Big Lebowski. But the actions and situations in this film are still making me laugh; Brad Pitt especially. If you haven’t seen this film yet I recommend it. As with every Coen Brother movie I can think of, the topics, and some visuals, are not entirely suitable for younger viewers. Joel and Ethan weave a new tail of epsilon semi-morons colliding in a series of self interested events. The lone two selfless characters in this film are led into a scheme to assist a middle aged lady (Frances McDormand) with a drive and determination akin to Jerry Lundgaard of Fargo. Their only sin was, for one (Brad Pitt), not being the brightest bulb in the box yet driven by a desire to help a friend. And for the other (Richard Jenkins) a deep yearning for the one he loved. The two instigators in this story set out separately on their daily routines propelled by lust only to eventually have all their possessions stripped away from them. One of them (George Clooney) is left realizing his loss, but not quite understanding why, while the other still has her eye on the prize in the end. The CIA has been watching this entire string of events unfold as it crossed paths with a disgruntled, self absorbed former intelligence analyst (John Malkovich). Baffled by the events they witness unfold before them the CIA decides to take a wait-and-see approach hoping that, when the dust settles, there will be no unanswered questions and it will tie itself off neatly. Each character in this film hints of previous Coen Brother characters making it an enjoyable movie for those familiar with their work. And while the film made me laugh and kept me very entertained I wouldn’t rank it as the Coen Brothers greatest achievement. It is funny, but they have made funnier. As with all Coen Brothers films it ranks high on the list of this years releases, but for this particular one, it doesn’t sit atop that list. I look forward to seeing it again.